Your Panels. Our Farm. The Perfect Solar Resource. ​​Now ANYONE WHO PAYS A UTILITY BILL CAN SAVE WITH SOLAR. You can save money, without installing solar panels on your roof or property. Community Solar projects are local, centrally located solar farms serving many households. You can meet 100% of your energy needs and eliminate your electricity bill with community solar. It’s decades of cleaner, greener power you own. And there’s flexibility like never before. You can take it with you if you move or re-sell to anyone in the region. Renovus is not a subscription service like some of the out-of-state providers in the marketplace. Renovus Community Solar panels are yours, and yours alone. Panels can be built to suit any size requirement. Let us know your needs and we’ll find you a custom solar solution.You can save money, without installing solar panels on your roof or property. Community Solar projects are local, centrally located solar farms serving many households. You can meet 100% of your energy needs and eliminate your electricity bill with community solar. It’s decades of cleaner, greener power you own. And there’s flexibility like never before. You can take it with you if you move or re-sell to anyone in the region. Renovus is not a subscription service like some of the out-of-state providers in the marketplace. Renovus Community Solar panels are yours, and yours alone. Panels can be built to suit any size requirement. Let us know your needs and we’ll find you a custom solar solution. 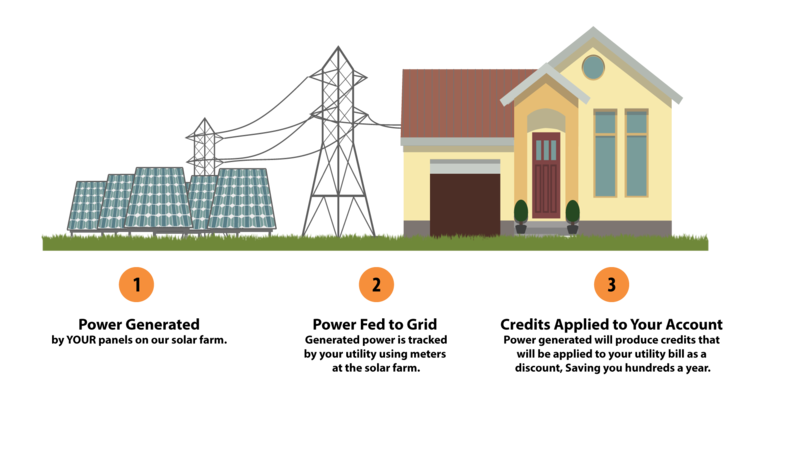 Community Solar is in many ways identical to residential roof or ground-mounted systems. 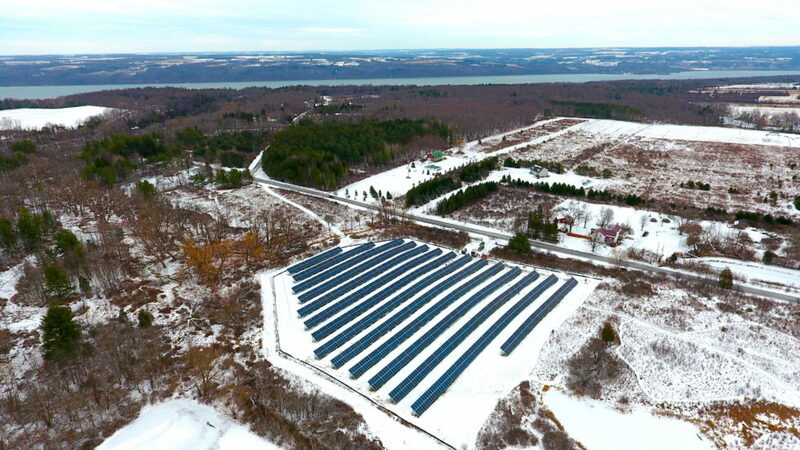 Energy generated at our community solar farm accrues credits with the utility company. Those credits are applied to your bill, and what you're left with is a zeroed out electricity bill and a lot of walking around money. There are a few big differences, though.. If you pay a utility bill, you can benefit from community solar. It doesn't matter if you rent or own, have a shady property, aging roof or not enough space. We have a solution for you. Our solar farms are built on perfect land, with perfect exposure under ideal conditions. Often as a result you can get more from community solar panels than you could from the same panels installed on your roof. 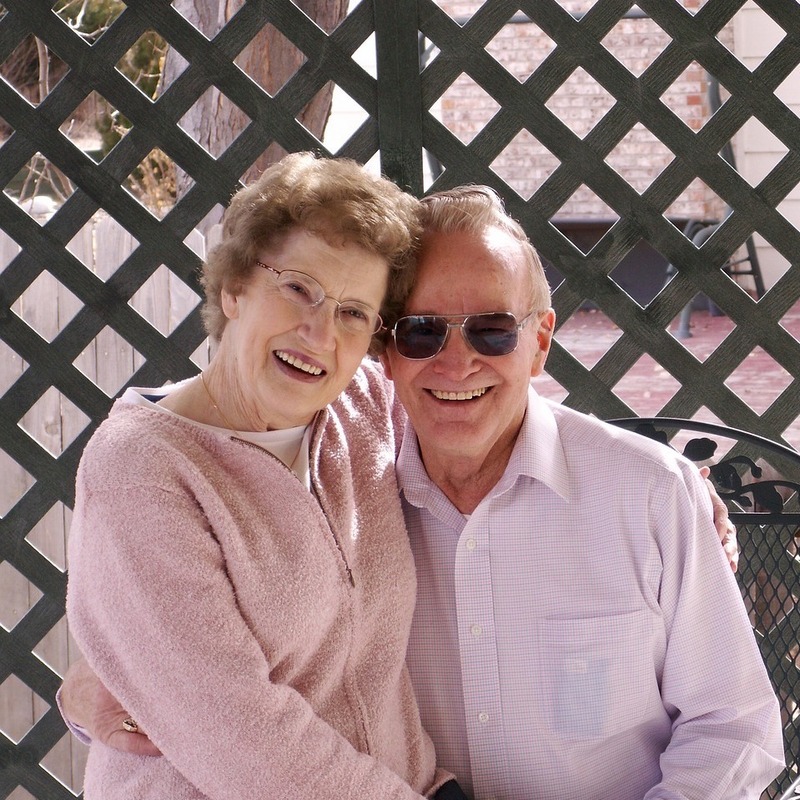 The end product is a homeowner who couldn't have gone solar even five years ago can now have an ideally designed and built solar system today. ​Interested in claiming your spot? Let our team walk you through a free quote to explore just how much you can save with a spot on our community solar farms. Fill out the attached form and our team will be in touch shortly. ​Interested In Community solar, but need some more info? ​All the benefits of solar.... but nothing on my roof? How does it work? Who can use it? Want to see if you can save thousands with Community Solar? Download our free eBook to find out! Living in the woods made on-site solar impossible for us, but now our home is 100% fossil-fuel-free thanks to Renovus Solar’s visionary community solar option. We love our wooded neighborhood, but it’s not a match for solar panels. Thanks to Renovus’ Community Solar program and experienced team, we were able to join the ranks producing their own renewable energy. Solar was impossible for us, we had a partially shady lot, a roof that wasn't perfect and not enough space to do an on-site ground system. 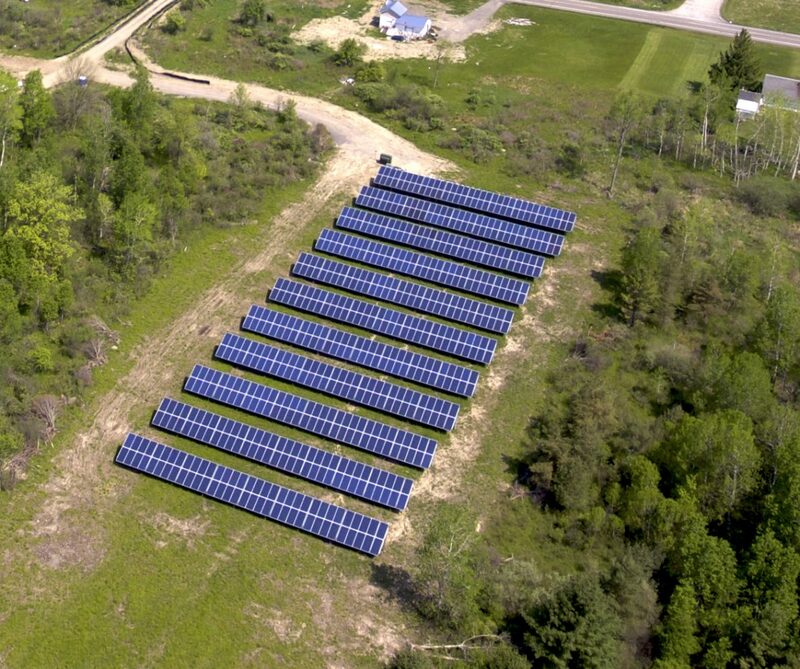 Our community solar array produces more energy than any on-site installation on could have. We love it!